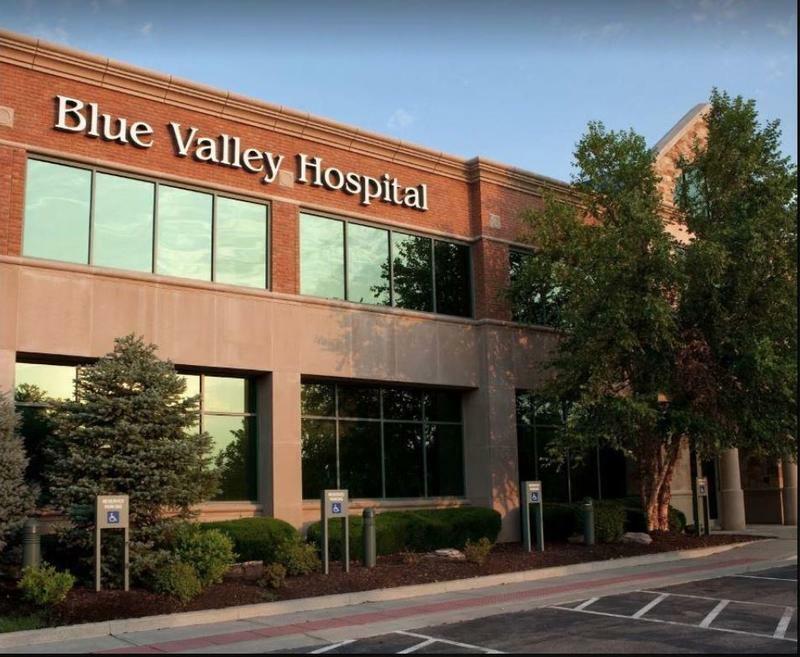 Blue Valley Hospital, an Overland Park facility specializing in bariatric surgery, has lost its bid to retain its Medicare certification, throwing its future in doubt. A federal judge last week ruled she did not have jurisdiction to hear the hospital’s legal challenge and dismissed Blue Valley’s lawsuit. The hospital promptly appealed her decision to the 10th U.S. Circuit Court of Appeals, which it hopes will take up the case on an expedited basis. “We’re still hoping for some rather quick relief,” said Curtis Tideman, an attorney for the hospital. Lowering the Kansas sales tax on food is as popular as it is difficult in a state scrounging for every nickel to balance its budget. On Thursday, supporters of a plan to cut taxes on groceries sounded off at the Kansas Statehouse with a plea to a Senate committee to advance a constitutional amendment that would reduce the rate. On a chilly winter morning, dozens of truck driver trainees file into a classroom at the headquarters of Prime Inc., a trucking company based in Springfield, Missouri. At the front is Siphiwe Baleka, an energetic African American in his mid-40s. The former swimming champion delivers grim news about trucker health to the new recruits. 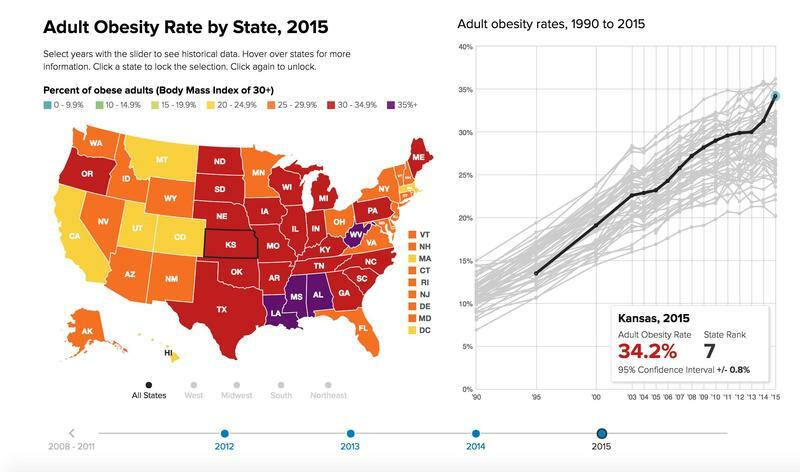 Kansas was the only state where the obesity rate went up significantly in 2015, according to an annual report, and state officials are trying to figure out why and how to reverse the trend. 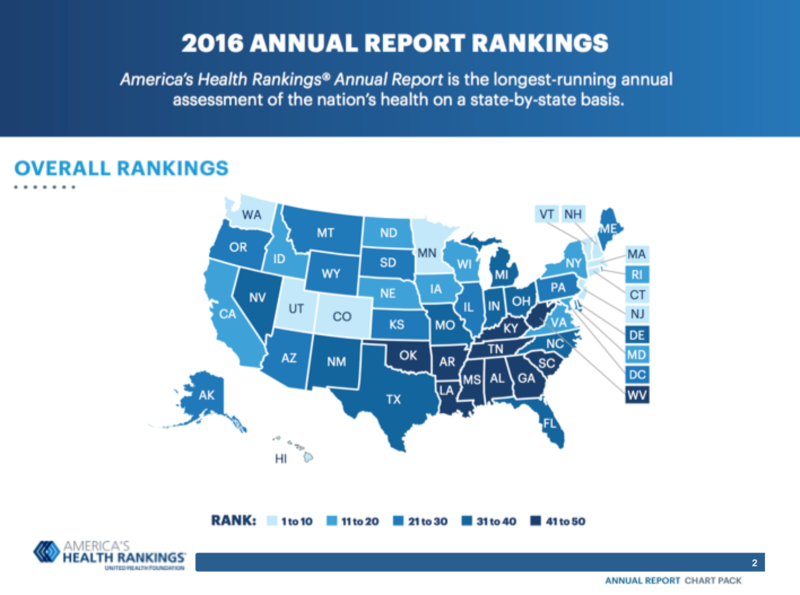 The state also lagged on vaccination rates and remained stuck in the middle on overall health, according to the America’s Health Rankings Report, which was released Thursday. School lunch has long been a target of jokes. Those jokes turned to complaints from students and parents alike in 2012 when new congressionally mandated nutrition standards took effect. The recent news that Kansas is now the seventh-fattest state in the nation points toward a future of increased health problems, including cancer. In fact, as smoking rates decline and obesity rates rise, obesity is poised to overtake tobacco as the leading preventable cause of cancer. One of every three adult Kansans was obese in 2015, ranking the state seventh in the country in an annual report. 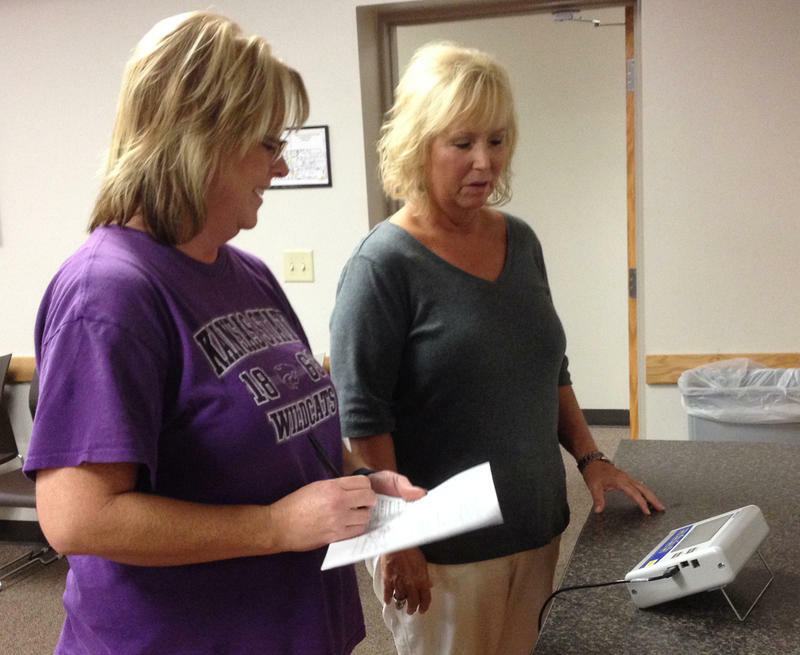 Kansas also was one of only two states where obesity rates increased from the previous year. 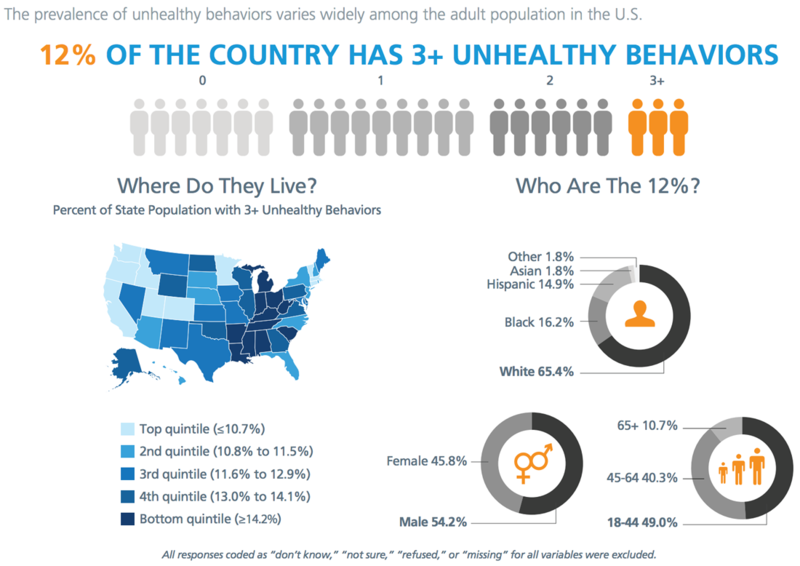 More than a quarter of adult Kansans say they don’t have any of five major behavioral risk factors for chronic disease, but the picture isn’t so rosy for minorities, men or people with lower incomes. A recent report from the United Health Foundation examined the percentage of adults with five unhealthy behaviors: smoking, excessive drinking, insufficient sleep, physical inactivity and obesity. 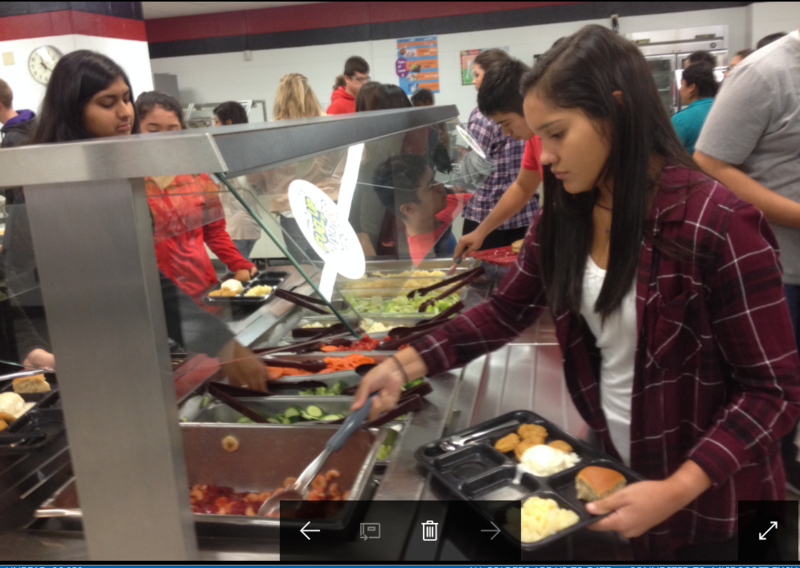 A nonpartisan, nonprofit group of more than 500 retired generals and admirals see school nutrition as an important factor in military readiness. 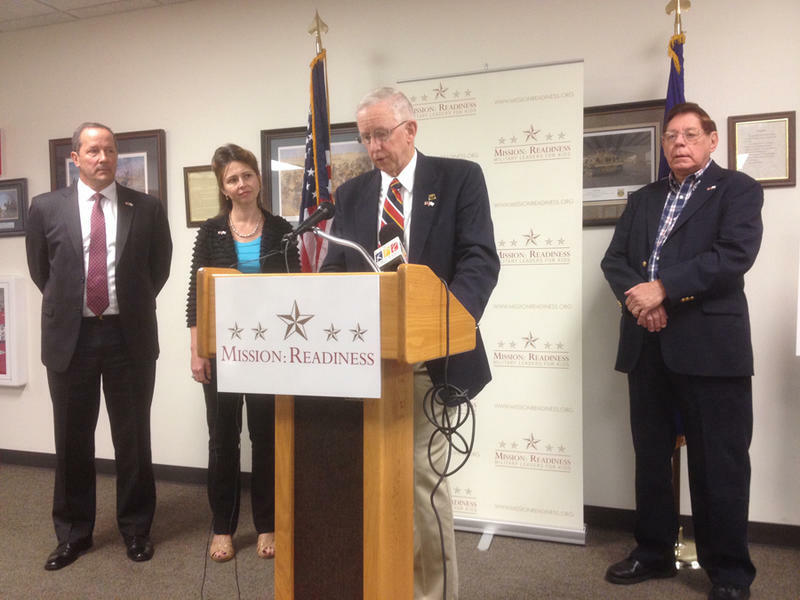 The group, Mission: Readiness, on Wednesday released the Kansas version of a report drawing a connection between healthier school meals and the pool of potential recruits for America’s armed forces. For decades, food companies have been deliberately bumping up the salt, sugar and fat levels in processed foods to get us hooked. And those unhealthy foods have played a big part in our current epidemic of health problems, including obesity and diabetes. So argues Pulitzer Prize-winning author Michael Moss in his 2013 book “Salt, Sugar and Fat: How The Food Giants Got Us Hooked.” KCUR caught up with Moss recently when the author was in town to speak at the University of Kansas Medical Center. The University of Kansas Medical Center will receive $10 million in federal funding to compare the effectiveness of obesity treatment models in rural communities. The money is from the Patient-Centered Outcomes Research Institute, which was created through the Affordable Care Act. Professor Christie Befort's study will track approximately 1,400 patients in rural Kansas, Nebraska, Iowa and Wisconsin. 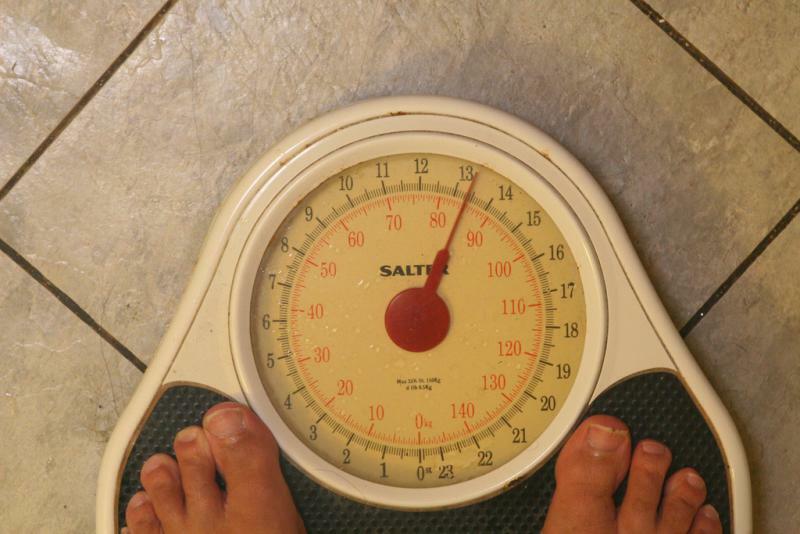 Missouri is the 16th most obese state in the nation, according to a report released Thursday. At No. 19, Kansas doesn’t fare much better. The 11th annual report on state obesity rankings by the Trust for America’s Health and the Robert Wood Johnson Foundation says adult obesity rates increased in six states over the past year, with Mississippi and West Virginia topping the scales. More than a third of adults in those two states – 35.1 percent – are obese, according to the report. 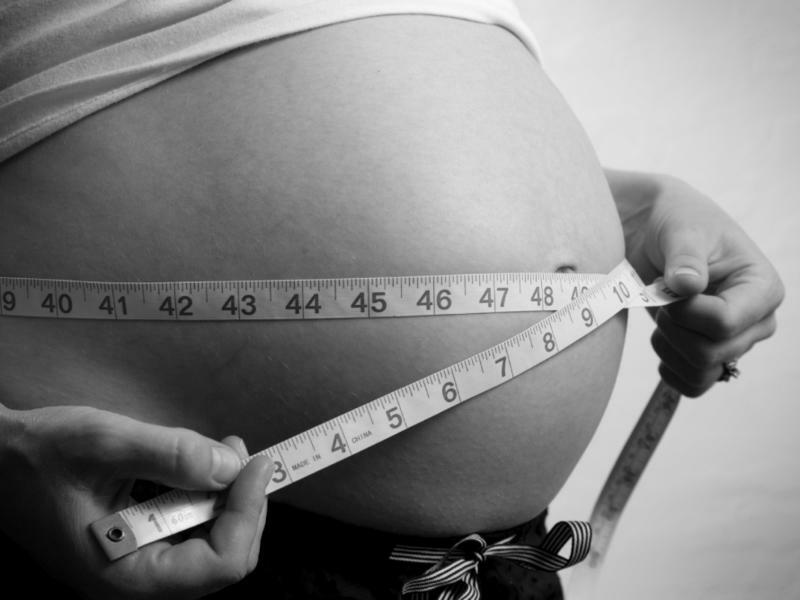 Just who’s to blame for the childhood obesity epidemic? Over the years, the finger has been pointed at parents, video games and vending machines, to name a few. To the makers of the new activist documentary, “Fed Up,” the bottom line of blame lies with a simple substance poured into our diets every day: sugar. And the pushers of what this film calls a drug and “the new tobacco” are the food industry and our own government. “What if our whole approach to this epidemic has been dead wrong?” the film’s narrator, TV journalist Katie Couric, says in the film’s open. A new report on obesity in America says Kansas is now the 14th most obese state in the nation. Missouri ranked just one spot below at 15th. 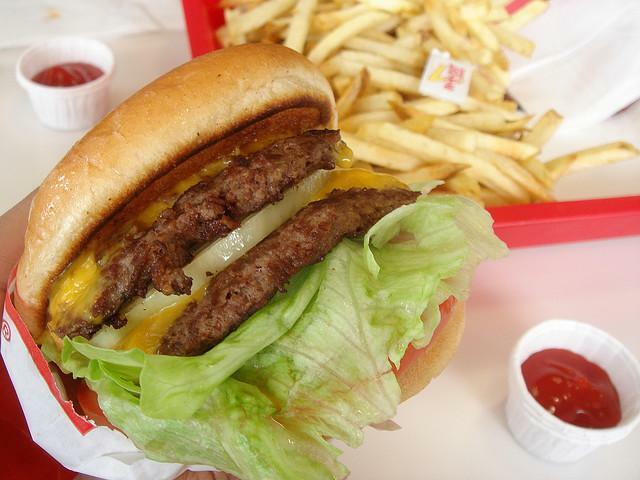 The annual “F as in Fat” report says 29.9 percent of adults in Kansas are obese and 29.6 percent in Missouri. That’s barely changed from last year. It’s swimsuit season and many are looking to shed a few pounds gained over the winter. But losing weight is a challenge and current research shows the odds are stacked against us when it comes to overcoming the mental obstacles of weight loss. With one third of children in the United States and two thirds of adults who are obese or overweight, it seems there is a huge challenge when trying to stay healthy. Amanda Bruce, a Childhood Obesity and imaging specialist at UMKC and Jennifer D. Lundgren, Clinical Ph.D. 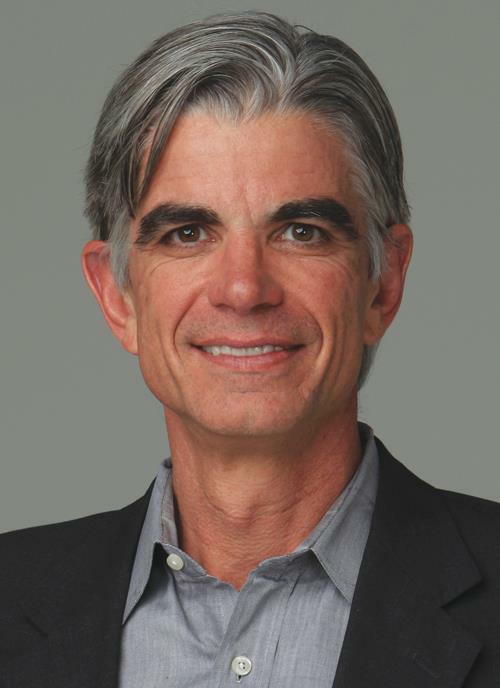 Associate Professor and at UMKC both work on the issue of how psychology plays into childhood and adult obesity. 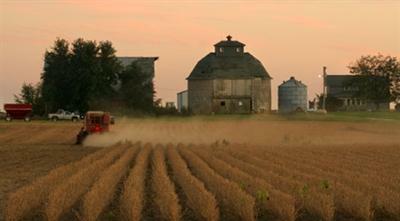 A common picture of the country life includes living in open spaces and eating food fresh from the farm. 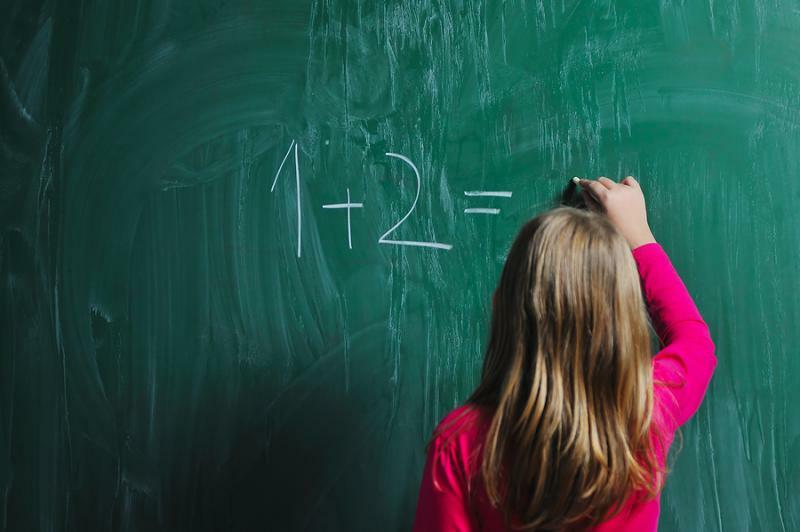 Researchers at the University of Missouri found a link between childhood obesity and poor math performance. The study, released Thursday in the journal Child Development, monitored 6,250 children from the time they were in kindergarten until fifth grade. 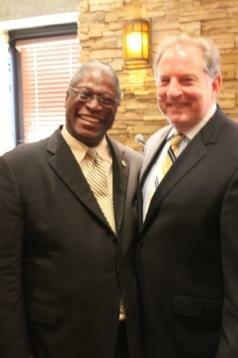 Kansas City Mayor Sly James knows that when he’s in better shape, he’s more productive and less stressed out. And he recognizes the weight, so to speak, of having a better diet and getting exercise regularly. Historically Black Americans have marched for freedom and ran the long race for equality. In modern times there is a different race to be ran, a literal movement to be undertaken and that’s keeping pace with personal health, running the race against time itself. A curious — and good — thing has happened on the road to Obesity Nation: the share of the U.S. adult population with high cholesterol has dropped. Data just out from the Centers for Disease Control and Prevention show that only 13.4 percent of adults in this country have high cholesterol, according to data collected in 2009 and 2010. Missouri could soon have an official state exercise. Backers of a bill in the Missouri House say an official exercise could help keep kids active and fight childhood obesity. Kansas City, MO – Reverend Eric Williams of Calvary Temple Baptist Church in midtown has worked for a long time on health issues in the African American community. A few years ago, he says he was tired of seeing people suffering and dying from health problems related to obesity and lack of exercise. So his church formed a non-profit and eventually built a gym right next door. The Calvary Community Wellness Center opened in 2008. A new federal program has awarded the Missouri Foundation for Health $2 million in matching funds to take on the high rates of obesity and tobacco use throughout the state. 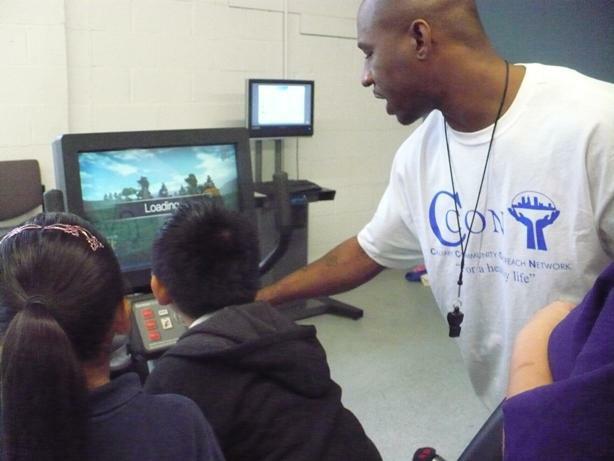 The St. Louis based non-profit is one of 11 organizations nationwide to receive the grants, and it plans to distribute the money to several groups across the state to run obesity and tobacco use-prevention programs. 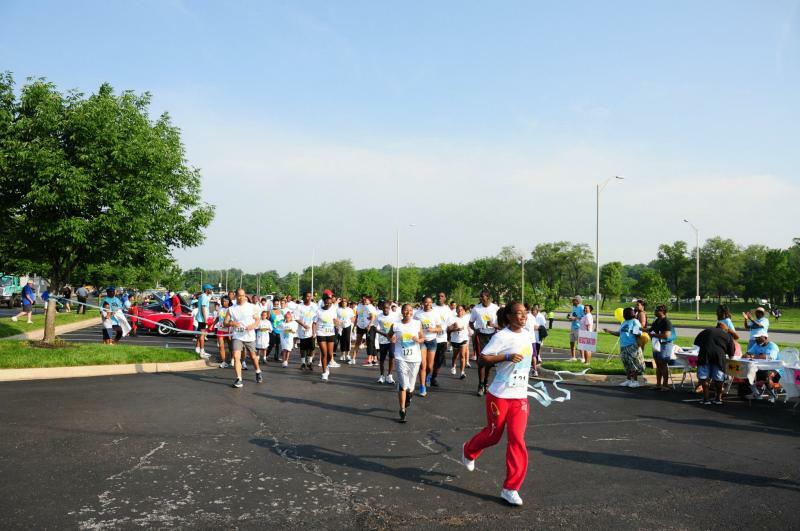 Kansas City, MO – First Lady Michelle Obama brought her campaign to combat childhood obesity to Kansas City today. 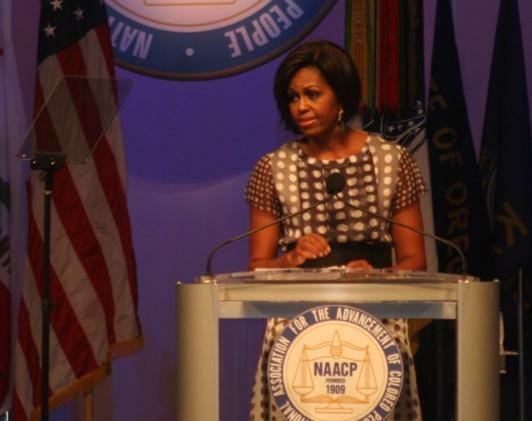 She delivered the keynote address at the national NAACP convention, which is in town this week. Michelle Obama said obesity is a national epidemic. 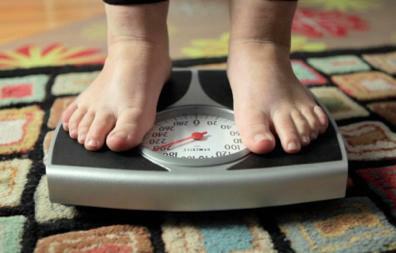 One in every three children in the United States is overweight. And like other problems, she said it's hitting the African American community particularly hard.